How you can help and enjoy birds this month. 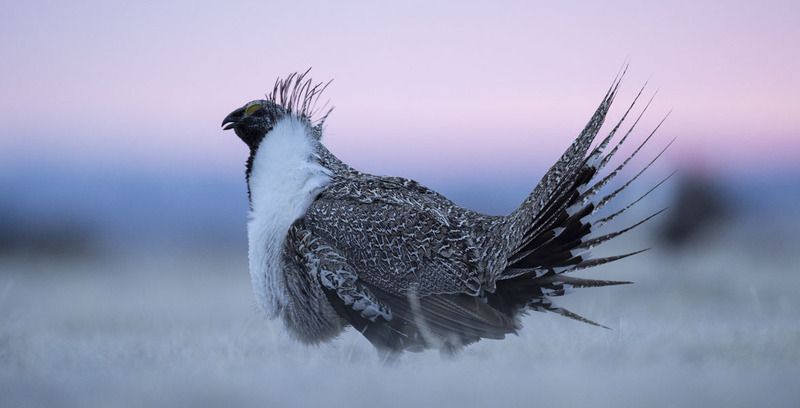 On March 15, the Bureau of Land Management stripped protections from 8.9 million acres of sage-grouse habitat. With backing from hundreds of bird-advocates like you who signed our petitions, Audubon is now asking western governors to hold the BLM accountable to their mission of multiple-use. Thank you to everyone who spoke up for sage-grouse. It’s not over. Volunteers and Community Naturalist Keith Bruno celebrate the snow. Photo: Roger Organ. Help us protect birds and the places they need, today and tomorrow, in Colorado, Wyoming, and Utah.